4-wheel tricomposite carriage, built 1876. Vacuum braked. Not fitted with steam heat. 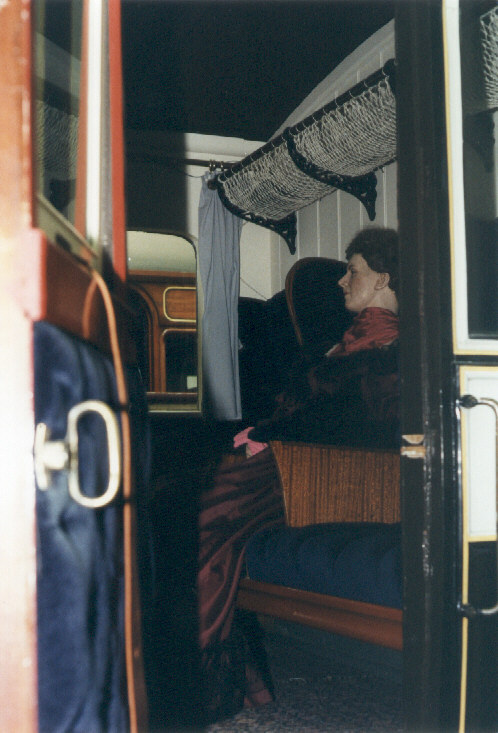 curtains, luggage racks and carpet.